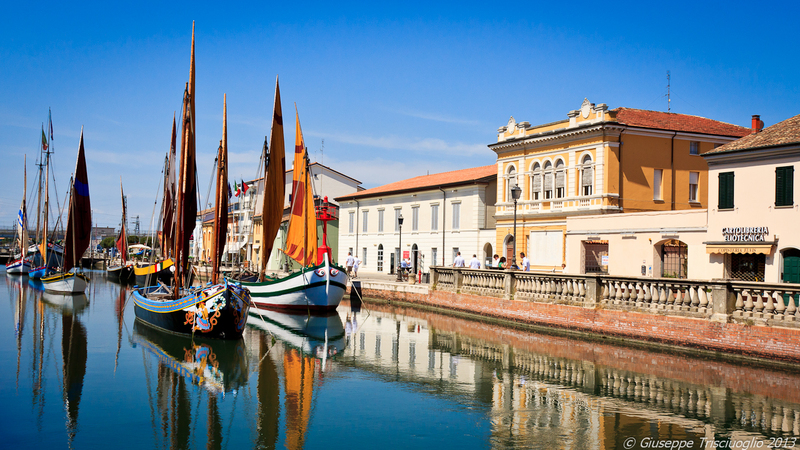 Cesenatico is an Italian municipality of 25 760 inhabitants in the province of Forlì-Cesena in Emilia-Romagna. Cesenatico is a seaside resort and tourist destination located in the Romagna Riviera, between Rimini and Ravenna, about 15 km east of Cesena. Rovinj is a Croatian fishing port on the west coast of the Istrian peninsula. The historic center is located on a promontory and is characterized by narrow houses close to each other up to the waterfront. A tangle of paved streets leads to the Cathedral of Sant'Eufemia, located on a hill and whose imposing bell tower dominates the skyline. South of the old town is Baia Lone, one of the pebble beaches in the area. 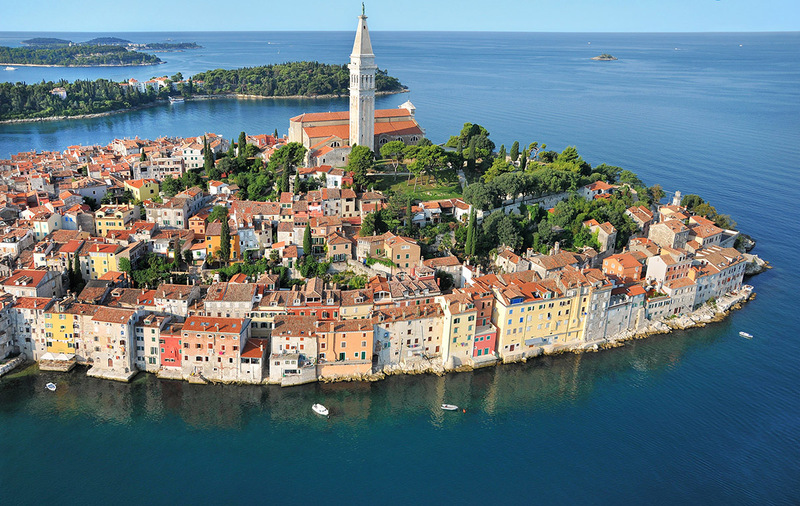 The 14 islands of the Rovinj archipelago are immediately close to the mainland.